Over the past few months I have accumulated a rapid growth in followers, whether it was through my blog directly or Facebook or Twitter or Snapchat, and I just want to take the time to Welcome you all to the journey and Thank you for being apart of the movement!!! I am beyond humble that you all actually want to hear what I have to say. I really appreciate it. My goal has been to share my story and if I could just inspire one person then I would be satisfied but what has actually happened along the way is I’ve come across so many people who have actually inspired me!!!! Thank you for rocking with me!!!! Always remember to Keep it U.G.L.Y Forever!!!!!!!!!!!! 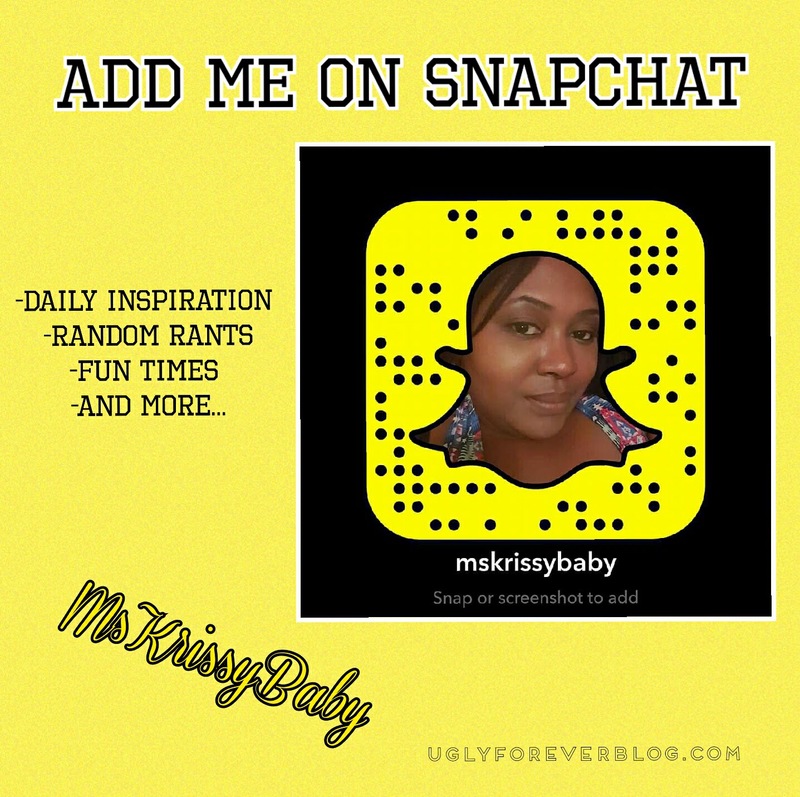 Posted in Recognition.Tagged Achieve Your Goals, Aspirations, Follow Your Dreams, Krissy G, Love Yourself, Manifestation, Motivational, Recognition, Self Love, Thank You, UGLYForever.